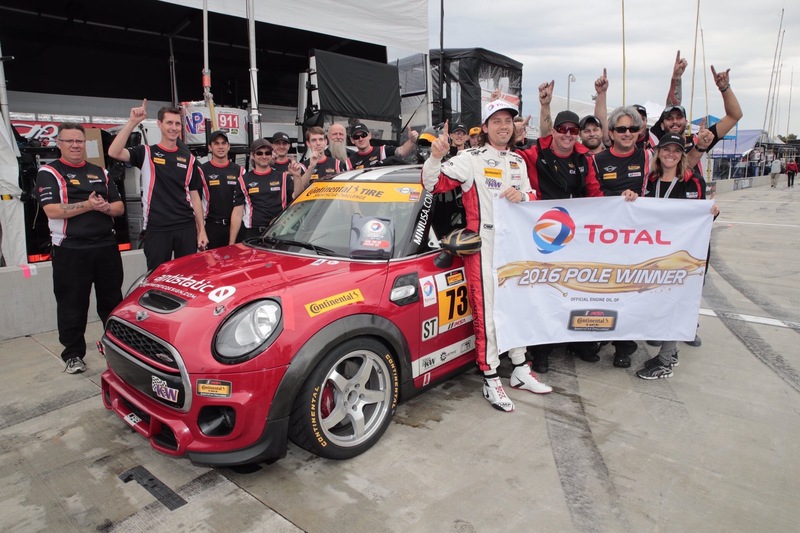 Derek Jones captures the pole. The fourth round of the Continental Tire Sportscar Challenge started with a couple early cautions. 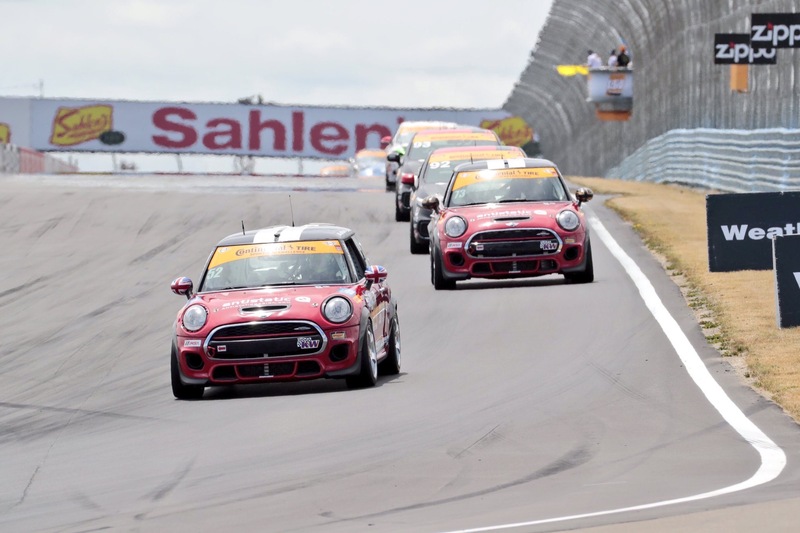 But once the Continental Tire 150 at the Glen settled down the MINIs showed that their qualifying runs were no fluke as they would run toward the front throughout the first hour and a half. Unfortunately the #37 JCW experienced more issues as they did in qualifying and found themselves out of the race early. 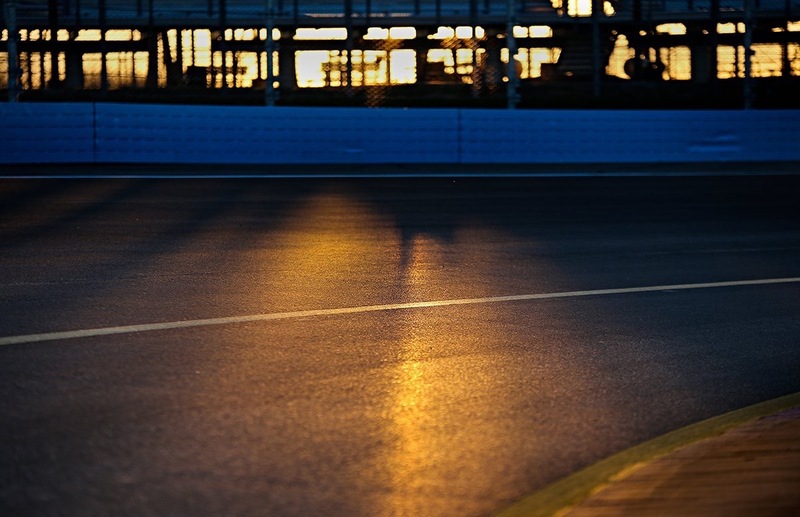 Both the #52 being driven by James Vance, and the #73 piloted by Derek Jones had strong runs throughout their stints. When pitting for driver changes both of them were still running in the top 10, with Derek Jones in 5th at the time. 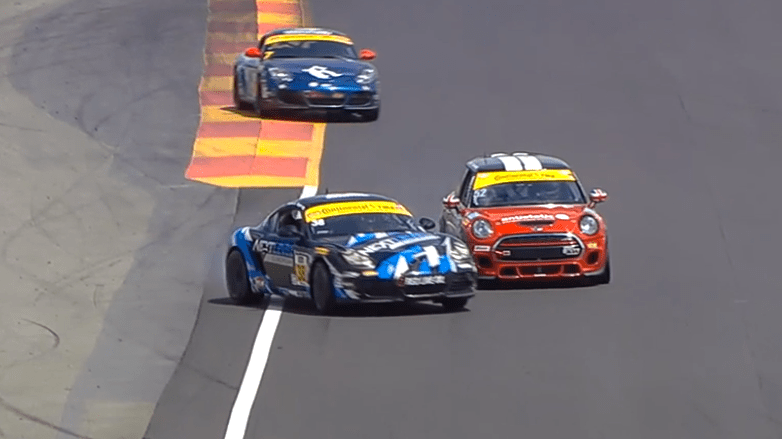 Tire wear at the newly repaved Watkins Glen in the front wheel drive MINIs was quite good. This allowed the #73 to get away with only changing the two fronts in an effort to save time on pit road. With only an hour remaining Mat Pombo had worked his way back up to seventh. Unfortunately the #52 fell back in the field and Ramin Abdolvahabi found himself in the high teens for position. Porsche spinning out into side of 52. Ten minutes later the #52 experienced some issue causing the car to slow on the track. Abdolvahabi brought the car in for service before returning to the track. But unfortunately bad luck hit the #52 again as a spinning Porsche hit Abdolvahabi in the right front forcing another pit for repairs. With the #37 and #52 having issues this left Mat Pombo in the #73 JCW as the teams last hope for a good finish. Unfortunately the Pombo found himself a lap down and was limited in the positions he could gain. MINI JCW Team results are in the table below. You can find results for the full field by clicking here.